Weld screws are welded to a metal surface to provide a protruding shaft for items to be fitted over and fastened to with a nut and washer. Projections and/or tabs extending from the head allow for welding to the mating surface without using a hole. Value Fastener offers steel weld screws in three configurations: bottom projection weld screws, top projection weld screws, and spade projection weld screws. All styles are available in multiple sizes and lengths to meet your unique requirements. See individual product listings for additional information and specifications. Order the weld screws you need, request a quote, or contact us to learn more. These steel weld screws feature a spade-shaped head at a 90° angle (perpendicular) to one side of the threaded shank. A spade projection weld screw is ideal for use in corners and in applications where space in otherwise limited. A top projection weld screw has three rounded projections on top of the head, positioned 120° apart. These steel weld screws are recommended for use where appearance is important or where a hole in the mating surface is not desirable. Our top projection weld screws feature a plain, bare-metal finish. A bottom projection weld screw has three rounded projections underneath the head, positioned 120° apart. These steel weld screws are recommended for through hole applications or where self-locating screws are required, and provide a flush surface for mounting components and assemblies. Our bottom projection weld screws feature a plain, bare-metal finish. With our extensive inventory, we’re sure to have the steel weld screws your project requires. 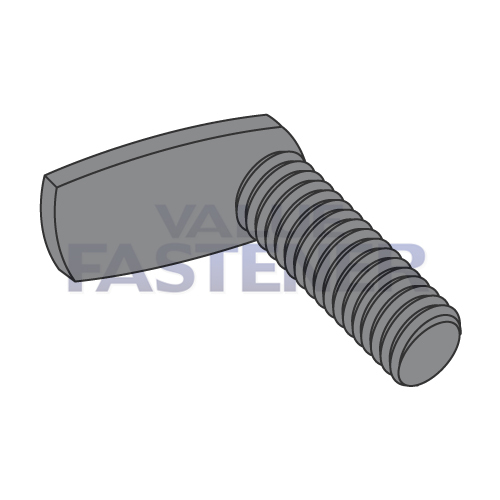 We also carry a huge selection of other screw options, making it easy to find the right fastener for any application. Order today, request a quote, or contact us for the weld screws you need.